The first time I went to the doctor in France, I embarrassed myself when I asked the doctor, “Are you the doctor?” not realizing how things were done here. 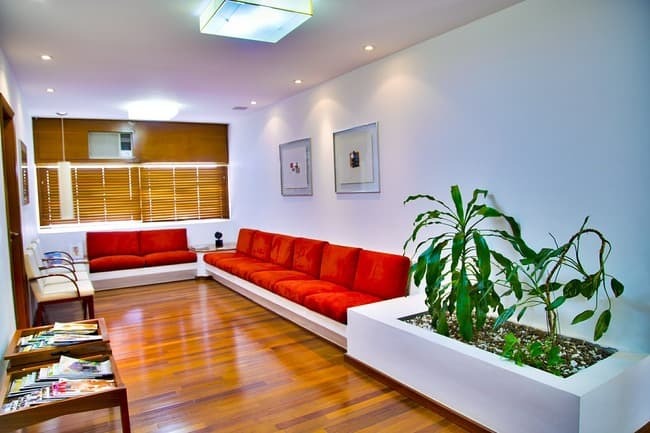 In most cases, the doctor himself (or herself) will greet you in the waiting room instead of a nurse calling your name and checking your vitals while you wait for the doctor, and doctors here rarely wear the traditional white doctor robes we’re used to seeing in the US. Lesson learned! 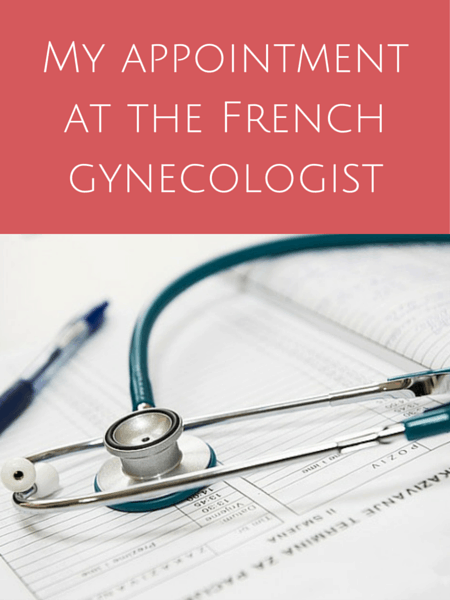 Interested in a typical doctor’s visit in France or looking to prepare for one of your own? Don’t make the same mistakes I did when going to the doctor in France. 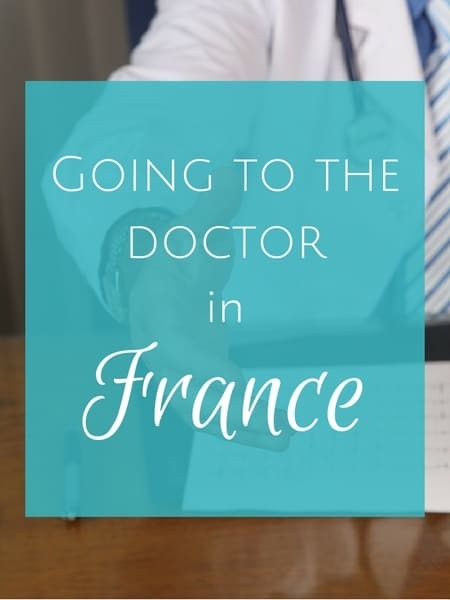 Read on to see what going to the doctor in France is really like! More or less, going to the doctor in France is the same as in the US. You make an appointment, you go see the doctor, he/she examines you, diagnoses you, gives you a prescription if necessary and you’re on your way. I said more or less the same. 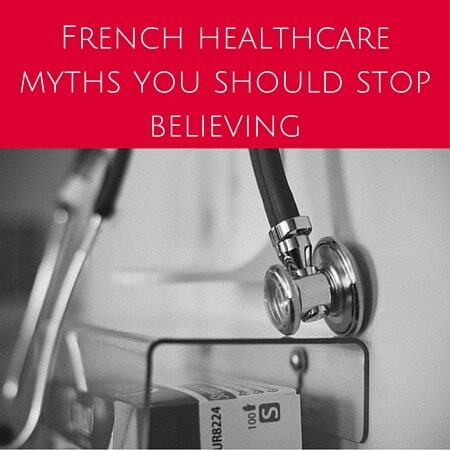 There are some nuances you might want to take note of if you’re going to the doctor in France. Let’s take a look. First, how to see a doctor in France. When you’re interested in seeing a doctor in France, you call the cabinet medicale to make an appointment. You’ll talk to the secretary who may or may not be in a good mood. Tell her “je voudrais prendre rendez-vous s’il vous plait” (I’d like to make an appointment please). Are you a new client? The wait might be atrocious if you’re not in dire need of a doctor. Anyway, if there’s an appointment available in the near future, great, you’ve succeeded and can hang up. But in most cases, getting a same day appointment in many areas (and forget an appointment this month or next if you want to see a specialist) is nearly impossible unless you know how to finesse your way in. Now, don’t say you’re dying, but the French seem to make room for you if they can sympathize. Go into detail about your problem and tell the secretary about your bad day. Fib a little if you have to. And be extra polite — that’s important! Anything to get her to make room for you. I’m not even joking. This has worked on several occasions when I was first told the schedule was full for the week. Showing up early to your appointment in France is not necessary in most cases, and a few minutes late is fine because I’ve never met a doctor who was on time. Thirty minutes behind seems to be the norm and I’ve even waited 90 minutes past my appointment time for two specialists. Normally you don’t fill out 10 papers for insurance/new patient forms when going to the doctor in France like you would in the US, so don’t show up early for paperwork. Ever. The doc will get your info once you’re in his/her office. Yes, yes, I know doctors all over the world run late and it’s not specific to France, but I must say no one is ever on time here. Except one guy who was a terrible doctor and it was crystal clear why I was able to get a same-day appointment for something minor. The wait might be a little frustrating at first, but once you realize it’s how things are done, you’ll appreciate the power of a good book or smartphone app. Why are doctors in France late? Because they actually take the time (in most cases) to thoroughly examine you and ask questions. But yes, I know, doctors anywhere tend to run late. In the US, I’m so used to seeing the doctor for all of five minutes and having them zip out as fast as they zipped in. Not so in France. I’ve sat with the doctor for 30-40 minutes just going over my history, symptoms and getting checked. Then another 10 minutes of them telling me about their trips to the USA! So if your doctor is late, don’t get mad. It’s just because he/she is doing the job right. Also, doctors here don’t call you ahead to let you know if they are behind. They also don’t call or email the day before to confirm your appointment (found that one out the hard way), so write it down somewhere! Then write it somewhere else just in case. Upon arrival, let the secretary know you’re there and if there’s no secretary, go to the salle d’attente (waiting room) for your particular doctor. In most cases, the door will be marked as such and in a practice with multiple doctors, again go to the waiting room for your particular doctor. Greet everyone in there with a bonjour and then sit down. The doctor will personally come and call you when it’s your turn. There is no nurse visit to check your vitals or get your history first. 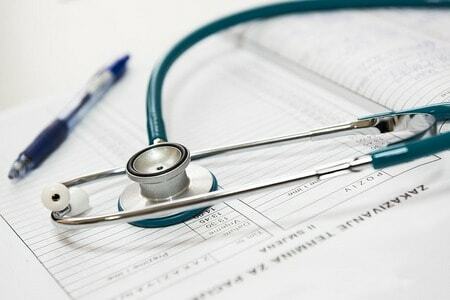 When going to the doctor in France, you’ll first be asked by the doctor to present your carte vitale (insurance card) and to pay (this can also be done at the end). If you don’t yet have your carte vitale, you’ll get a feuille de soins (health form/receipt) to submit yourself to the securite sociale. Once that’s out of the way, you’ll explain why you’re there and the doctor will fully examine you. In most cases, this is the first time the doctor will be hearing of the reason for your visit (secretary doesn’t always inform the doctor ahead of time) and like I said there’s no nurse who comes to see you in advance, so be thorough. If there’s a need for a prescription, the information is entered into the computer, printed out and signed by the doctor. Then you get to go pick up all the fun little boxes at the pharmacy. There is no verb in French for “filling” a prescription. There are no waits unless the pharmacy is really busy or they have to order your medicine. You don’t get a container with your name and address with the exact number of pills prescribed. No, not in France. Instead you get the entire box of medicine with handwritten instructions on the side of the box if necessary. It’s all very quaint and personalized. Being on a first name basis with your pharmacist is very normal. Ours even knows Dagny’s name too! 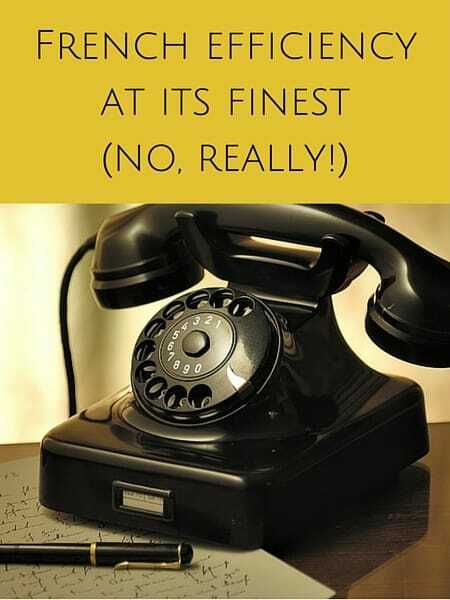 Do not wait for a call to confirm your appointment beforehand. You’ll be waiting and waiting and your appointment will pass on by… I’m happy to report that my dentist does text the day before so some docs are figuring out a good system for preventing no-shows due to forgotten appointments. Do not wait until the last minute to make a dermatologist, dentist or other specialist appointment. Unless you live in a major city (and even then it can still be problematic), it can take a little while for a doctor to have an opening. Example: I made a dentist appointment last week and since I’m a new client , the first opening is — hold on to your hats, folks — May 7, 2013. No, I am not joking. No, there is no shortage of dentists in my town. Do not ignore the other people in the waiting room when you enter. A bonjour is pretty much required, so if you enter and go sit down without saying a word, it’s rude! My personal favorite: Do not ask the doctor if he/she is the doctor. No, they don’t wear a white coat or have a stethoscope around their necks to clue the clueless in. And yes, some doctors are young, wear necklaces and have shirts that aren’t buttoned all the way up. It’s France, get used to it. Just be cool because being a doctor in France sometimes mean you dress very un-doctor-like. Whatever that means. When you get to the exam room/personal office (one in the same for every doctor I’ve been to), don’t get right to business if the doctor wants to chat. 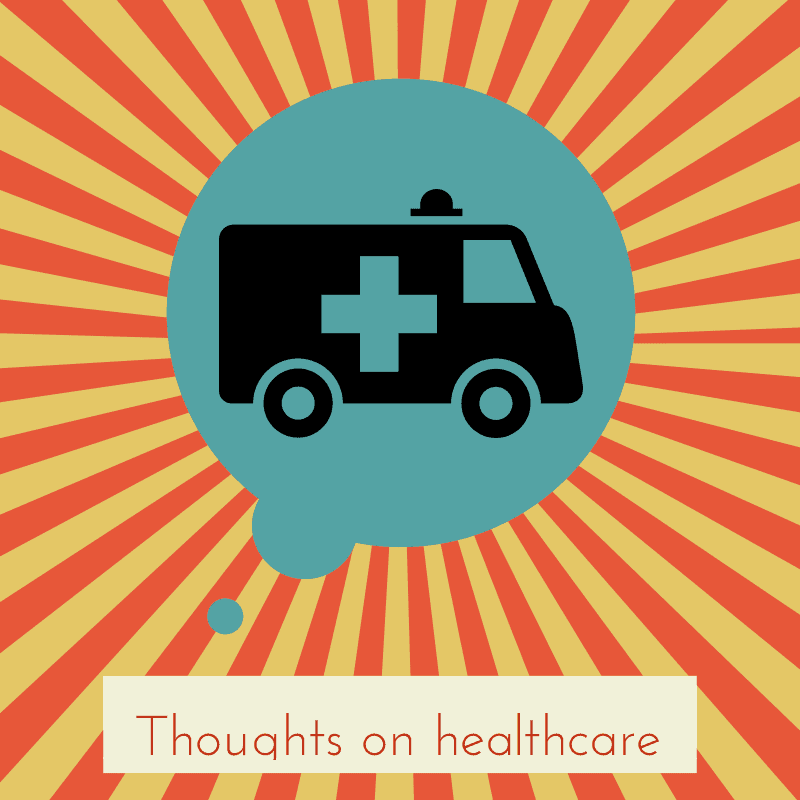 A little small talk is often a welcome change and unlike many experiences in the U.S., the doctor is NOT rushed even if they’re an hour behind and have a waiting room full of people. I usually get to the point out of respect for the other poor souls hacking their lungs out in the waiting room, but sometimes the docs like to chat. So humor him/her. 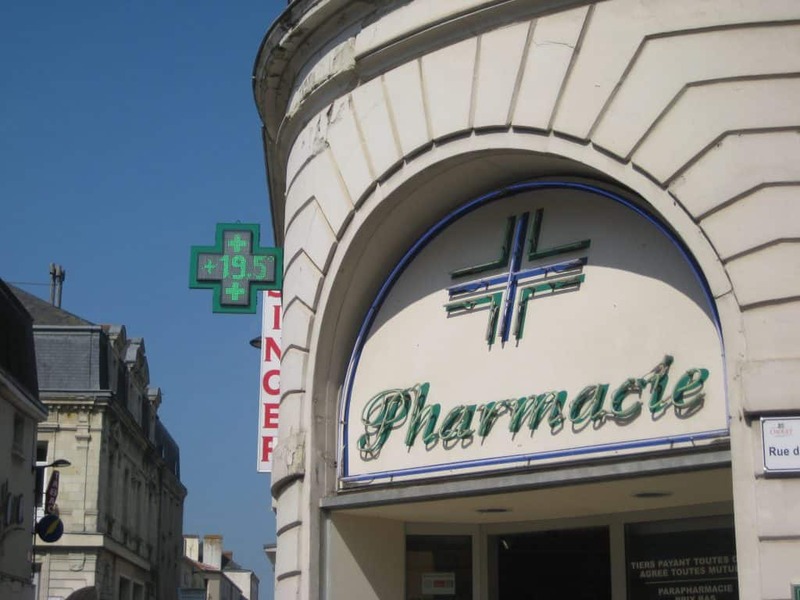 What’s your experience with going to the doctor in France? Wow, it’s different and the same. I couldn’t imagine walking into the waiting room and chatting with the other people. No one even makes eye contact – LOL. Soooo crazy that you have to wait 6 months for a dentist appointment!!! I’ve never been to a doctor in the U.S. that is on time, either;-) Guess some things are universal! I don’t think 5-6 months is a normal wait time. More like 3 months. But even 3 seems absurd to me! You can also go to the pharmacy for a list of doctor’s in your area and even ask them to call to make you an appointment! I didn’t have a cell phone when I needed a doctor and so had the pharmacist kindly call – it was for a bad cold, but I got a next day appointment. Very nice doctor though. Excellent tip, didn’t even know that option was available. Thanks for sharing and reinforcing my view that people generally are willing to help out. Happy New Year! I had to call for a doctor at 2200hrs (10pm) one night & about 2 hrs later one turned up at my flat. He gave me an injection as well as a prescription. He was polite, friendly & on the night shift service. Someone else got my prescription but 2 days later I too myself to the hospital. I filled in 1 form with my name, address etc then they took me to a waiting corridor, put me on a bed & I waited for attention. As the patients got seen the beds moved down the corridor & it was easy for the doctors to just wheel you on the bed into their examination room. They brought the xray machine in there, gave me more pills & an injection as well as a script to last another 2wks which would see me til I got home to Australia, The bill came in the post about a month later. Your description of visiting a doctor is the same as here in Australia, so I would be used to the French way of working. All I know is that when on holiday & I needed an emergency doctor they did a house call; something frowned upon here. Don’t know where you live but in Adelaide a dr will come to the house on Medicare just phone 13sick7425 and their very good. In many ways this sounds like going to the doctor here in Australia we enter the practice tell the receptionist we are there take a seat in the waiting room and the doctor will call your name when they are ready for you. You pay the receptionist on the way out, scrips are usually done on the computer and printed out for you. At the chemist you had your script in and it comes in the packaging with your name and how much to take printed out and stuck on the box or bottle and in some cases if you have not taken the medication before the chemist will print out and information sheet about the side effects and such. We moved to France last year, the doctor we chose has a morning no appointment necessary system. Very handy if you get there early enough and don’t mind the wait. The dentist was a different matter, we made the appointment for our first checkup in October and could not be seen until February. Yes, it really depends on the area and specialty. Sometimes there are a ton of dentists in an area and the wait is short and in other cases, the wait is incredibly long if you’re a new patient. But once you’re a patient, they usually get in you in much quicker if there’s something urgent (thank goodness!). What part of France are you? Hope the dentist was good! Hi, we are in south east Dordogne not far from the Lot. The wait for the dentist was, as you say, because we were new patients. We went there a couple of years ago as an emergency with my son who was seen within 20 minutes. I had a great experience when traveling in France. I was there just on my American passport, no visa, and a family friend took me to their doctor. I paid 23 Euros, he hardly looked at my passport, chatted with me and my friend about why I was in France, did his exam and I walked out within an hour with an upper respiratory infection diagnoses and a prescription that was an additional 7 Euros. My co pay in the States is $40 just for a visit! I guess I have my French-tax-paying friend to thank for subsidizing my care! I would gladly pay more in taxes rather than my premium for this inclusive system. Oh wow, great to hear that! I often have the same experience with new docs who love to chat about what I’m doing in France and where I’m from. I’ve been lucky that I’ve found mostly friendly docs! Glad the doc you saw was fair and didn’t charge you the “foreigner rate.” Gotta love the cost! And imagine if you were a permanent resident here even more of that (possibly all of it if you have supplementary insurance) would be reimbursed! Hope you’re all healed now and the French meds did their job!